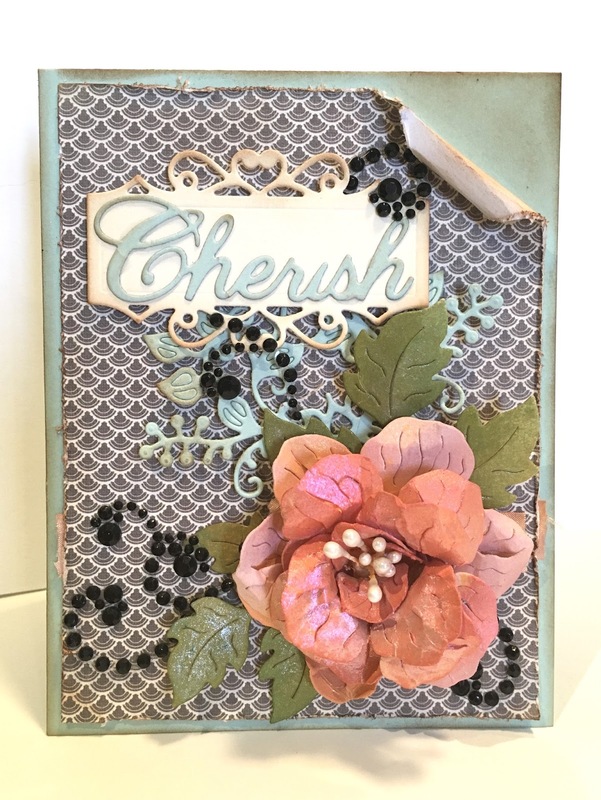 Hi there, today I have quite a spring feeling card using one of our newest dies at Cheery Lynn Designs, the 3D Rose 2. So to start out my card I just created an A2 size card base out of a light blue card stock. Next I cut a patterned paper down just a little smaller than my card front and roughed up the edges and twirled the top right corner in and adhered it to my card front. Next I worked on my flower. I die cut two of the flowers out of light pink card stock and created the first one, but after consulting with our design team it was decided to use a second die cut to create the bottom layers to make it look fuller and that's when the flower really came alive. I also added pearl stamens in the middle of my flower. A little tip for this flower is to spray it with water to be able to shape it better. I also sprayed it with shimmer spray to get the pretty color. Next I die cut the leaves using Flourish #14, which was perfect for this flower. Than I die cut Ornament #9 out of light blue card stock and just to layer with. Next I die cut one of the gorgeous frames from the Ornament #9 set, which is becoming a favorite of mine and finally the word Cherish out of light blue. As a final touch I added some pretty crystal flourish bling on my card. Hope you like this pretty card, I sure love the way my flower turned out! 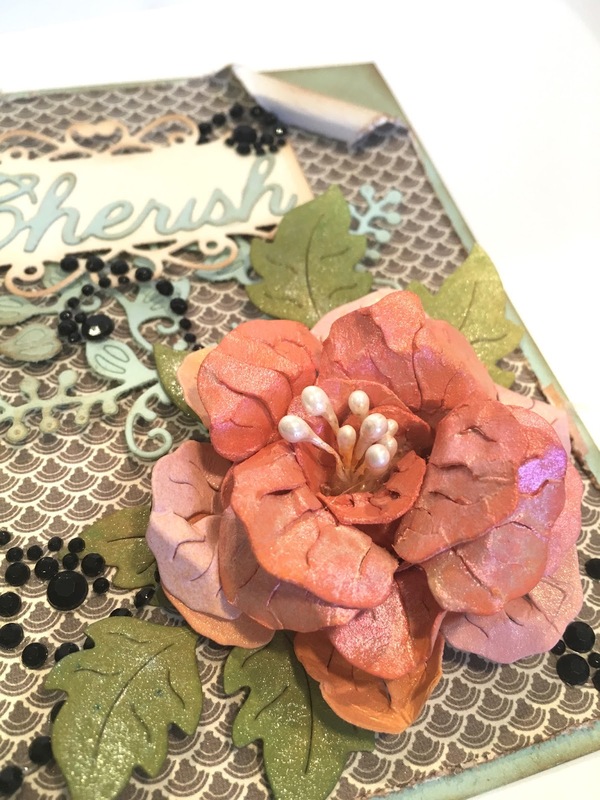 Thank you for stopping by and hope to see your creations using our newest challenge!